Idris Elba was born in London Borough of Newham, United Kingdom, on September 6, 1972, is an English actor. 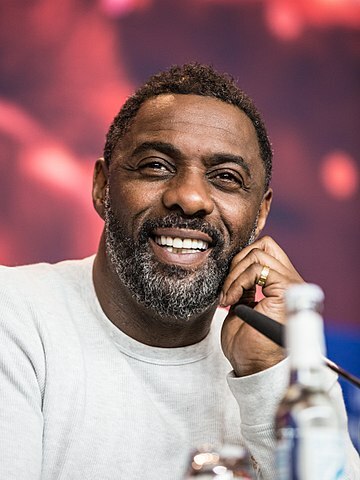 Young Idris Elba began his acting career on the British television. Elba's breakthrough performance came as Russell "Stringer" Bell in the HBO series The Wire (2002-2004). He made his big screen debut in French comedy film Belle maman (1999) opposite Catherine Deneuve. He portrayed Heimdall in superhero films: Thor (2011), Thor: The Dark World (2013), Avengers: Age of Ultron (2015), Thor: Ragnarok (2017) and Avengers: Infinity War (2018). He is a DJ under the moniker DJ Big Driis. He played Detective John Luther in the British crime drama television series Luther (2010–2018). He voiced Chief Bogo in Zootopia (2016), Shere Khan in The Jungle Book (2016) and Fluke in Finding Dory (2016). He is a Lady Gaga fan. He featured in music videos for Fat Joe (2002), Angie Stone (2004) and Giggs (2010). He was married to Hanne "Kim" Nørgaard (1999-2003) and to Sonya Nicole Hamlin (2006). He has two children a daughter Isan and a son Winston. Bond? It is a bit like saying, 'Do you want to play Superman?' Anyone would dream of it. It's one of the most coveted roles in film. I'd be honoured. But I don't know if it will actually happen. I'm just happy with the idea of being associated with it. It's nice there's a lot of good will. As much as it's nice to step into that massive world of Hollywood and be a big, famous actor, I prefer the career of actors that have really chosen smartly and done really amazing performances. Maybe they're not as known, but their careers are a bit more interesting.